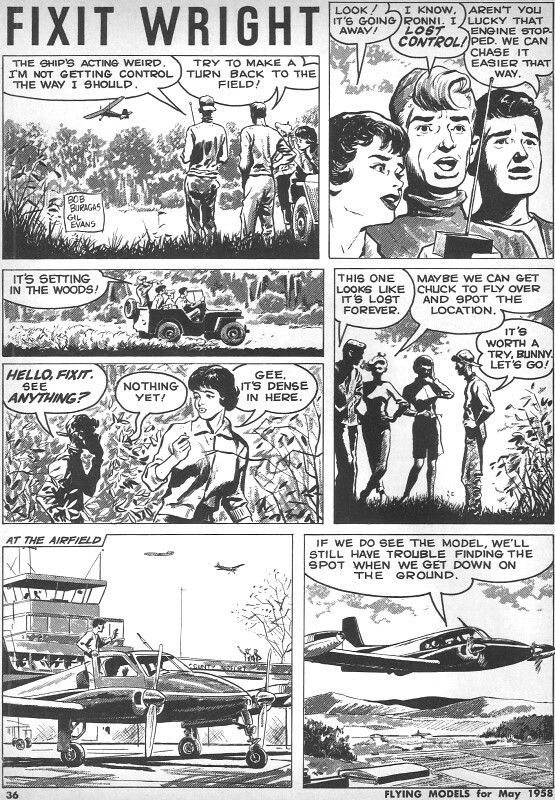 Mr. Bob Buragas and Mr. Gil Evans drew this comic strip titled "Fixit Wright" for the May 1958 edition of Flying Models magazine. The theme of the radio running out of range is a familiar one to old timers. I'm not sure how often that happens with modern radio. My first radio system was a 3-channel OS Digital job that was lucky to reach 1,000 feet. It was highly affected by model orientation and altitude. Back in the early 1970s, my Andrews S-Ray was flying at the original PGRC flying site in Prince Georges, MD, when it went out of range. As I had done too many times in the past, I began running at top speed toward the airplane with the transmitter held high over my head, hoping to re-acquire a lock. 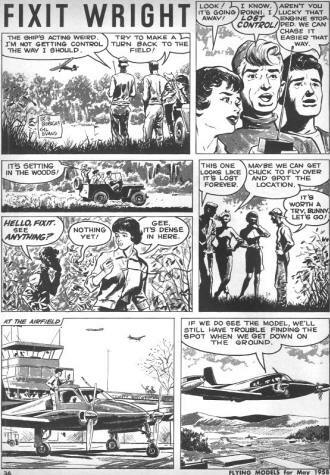 It didn't happen that time, and the plane went down in the massive corn field that surrounded the site. My flying buddy Jerry Flynn and I combed the field for an hour or so with no luck. It was getting dark, so we returned the next day and found if just a few feet from a big tree. I was lucky that time. It sure would have been nice to have had a friend with a full-size airplane to help look for it. 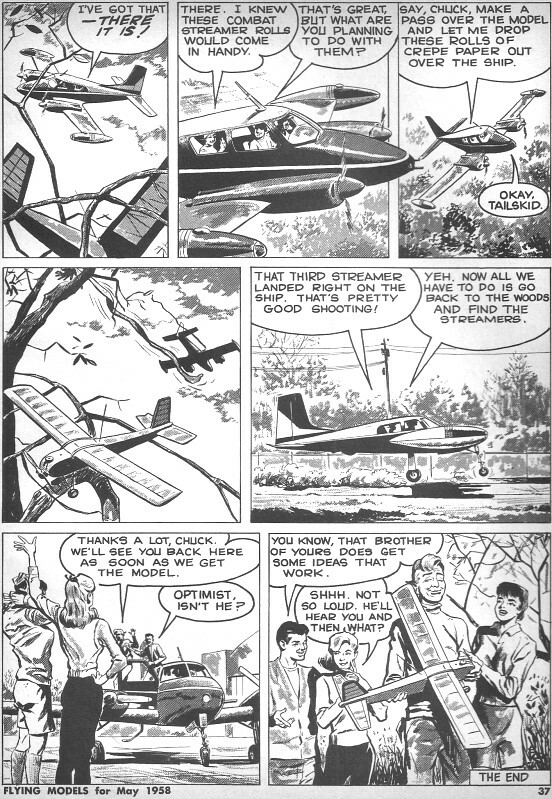 I don't know whether this Fixit Wright comic is the first and only of its kind, but the couple Flying Models I own of this vintage do not have other episodes. If you have editions of any of these old magazines and would either scan the comics and e-mails them to me, or perhaps send me the magazine (I'll pay shipping), I'll be glad to post them.